The Mandra in Tan is exotic, with a sweet side. 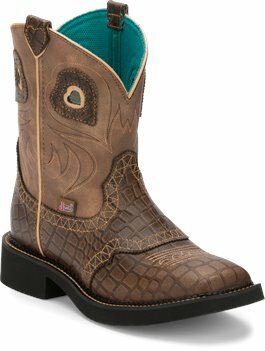 This 8” fashion boot is detailed with a buffalo leather foot in a fashionable stylized gator print and embellished with golden yellow whipstitching. 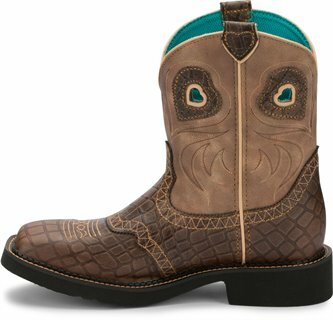 Flame stitching climbs the shaft, leading to petite heart cutouts and pull tab details for a signature touch. The J-Flex Flexible Comfort System® inside ensures a comfortable feel.